Morning friends! It’s Wednesday which means it’s a What I Ate Wednesday kind of day. I took photos of everything I ate yesterday so let’s do this! First thing first, my favorite meal of the day… BREAKFAST. I had a bowl of Protein Overnight Oats with banana slices mixed in. I topped the mixture with fresh blueberries, pepitas and a spoonful of almond butter. Such a good combo. After some computer work I headed to the kitchen to do a little recipe testing. I typically do most of my blog cooking on Wednesdays when Maria is here to help out, but I was feeling ambitious so I did a little cooking on my own yesterday. I made cookies using this oatmeal breakfast cookie recipe as the base and added fresh berries. They turned out great so I’ll have a new breakfast cookie recipe for ya very soon. 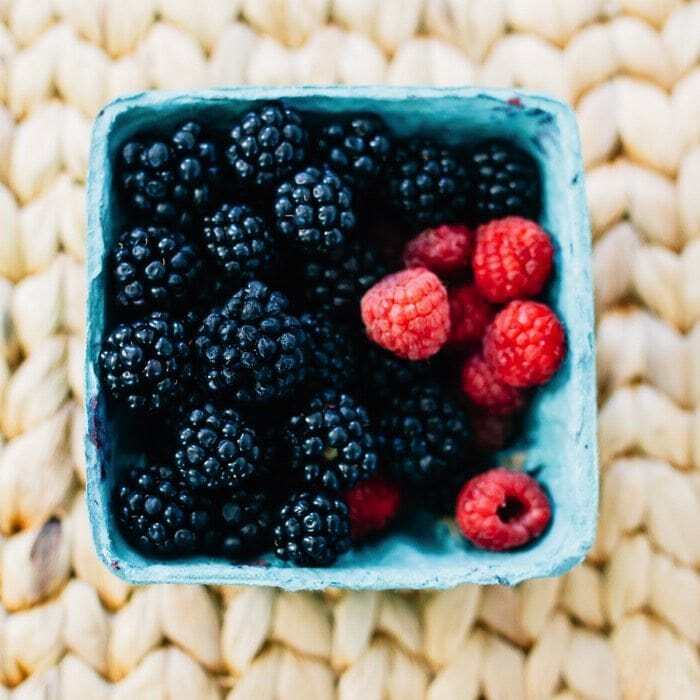 While I was baking the cookies I snacked on some fresh berries (from the farmers market) and ate some of the cookie dough. <– It’s literally impossible to make cookies without eating some of the batter…. right? 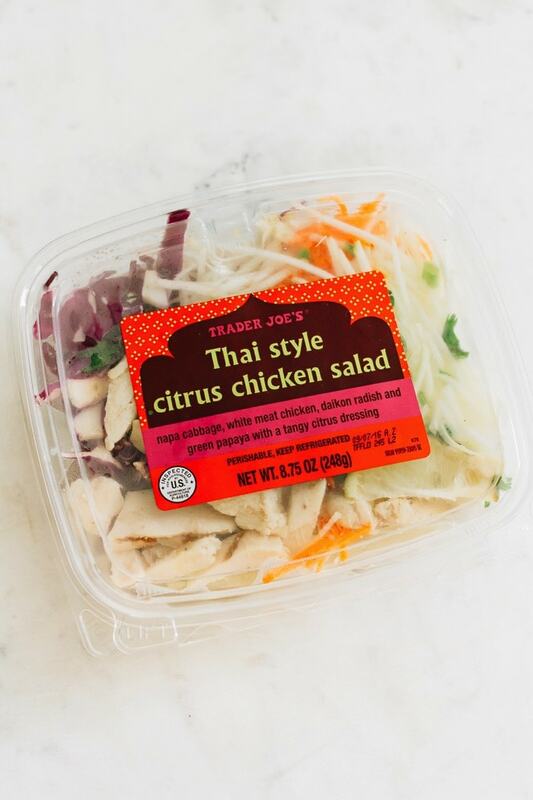 For lunch I needed something quick and easy so this TJ’s Thai style citrus chicken salad came in handy. Snack time = Coconut Chocolate RXBAR. I LOVE the simple ingredient lists of these bars. This flavor of the coconut chocolate is good, but I just realized that they have a new Maple Sea Salt flav. Must try that baby soon. 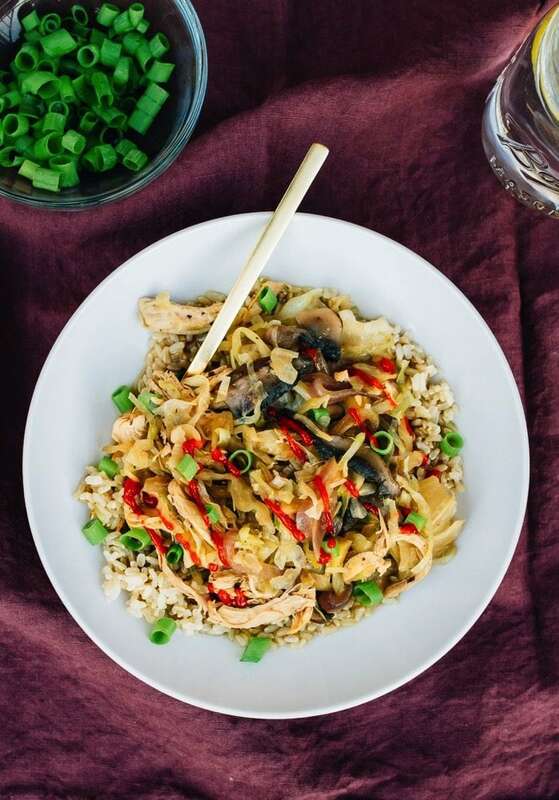 Before too long it was time for dinner so I whipped up a new-to-me recipe (One Pot Chicken and Cabbage Bowl with Sesame Ginger Broth) that’s part of a NEW ebook called Dinner Made Easy that I’m teaming up with Julie of Peanut Butter Fingers, Gina of The Fitnessista and Lindsay of the The Lean Green Bean to create. All four of us are huge fans of meal prep and making weeknight meals as easy as possible so we decided to collaborate on a special dinnertime ebook to help our readers harness the power of meal planning. We’ve already started putting the book together and it’s amazing! It has a month of healthy recipes, weekly shopping lists and meal prep tips from all of us. We’ll be sharing more details about the ebook soon, but if you sign up here you’ll be the first to know when the ebook is released and receive a special coupon code as well. And you guys, this bowl is soooo delicious and super easy to toss together. The ginger sesame broth is flavorful and perfect for serving over a bed of rice. Isaac and I loved it! I spiced ours up with a little sriracha because we can’t get enough hot sauce, ever. I’m off to take Olive to get her hair cut and then it’s time to get busy in the kitchen with Maria. We’re hoping to create a couple new recipes and a video. Speaking of recipes, do you have any requests for fall/winter you’d like to see here on EBF? Is there a holiday dish you’d love to have healthified? I’m your girl. Just let me know in the comment section. I’d love to see slow cooker recipes, especially those that can withstand a long cooking time (at least 8 hours to make it through my work day) and I like slow cooker recipes that you can assemble the night before and then start cooking in the morning (am I asking for too much??). Also, I love chili recipes. Can’t wait for your book. Do you have any ideas for a lightened up, but easy, Chai Tea Latte? I love Trader Joes Pumpkin Spice Chai Tea latte in the fall but don’t love all the extra calories! Ohh!! I will brainstorm and come up with a suggestion for you. I love the idea of a lightened-up chai latte. 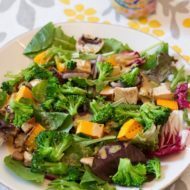 Thanks for the good tips on Trader Joe’s chicken salad, pumpkin Cheerio’s and RXBAR! That dish is one of my favourite breakfasts to make for myself! 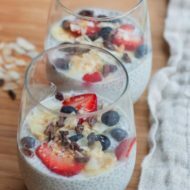 Protein overnight oats are the best!! I’ve been loving those RX bars but I haven’t tried that flavor! So far, the chocolate sea salt is my favorite! Do you have a healthy carrot cake recipe. That is a fall favorite of mine. 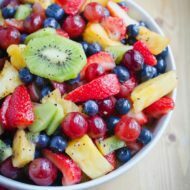 All these eats look fantastic! That dinner sounds especially good. Interesting and not-bland meals that you can meal prep in advance sound great to me! Definitely anything involving the slow-cooker is helpful. 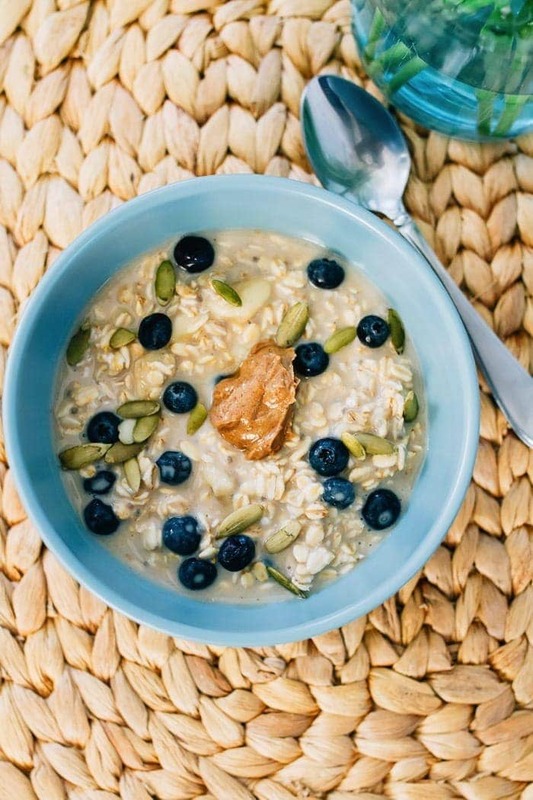 I know this will sound random but can you make a healthy pumpkin rice pudding? This actually doesn’t sound random at all! Adding this to my list of recipe ideas for sure. 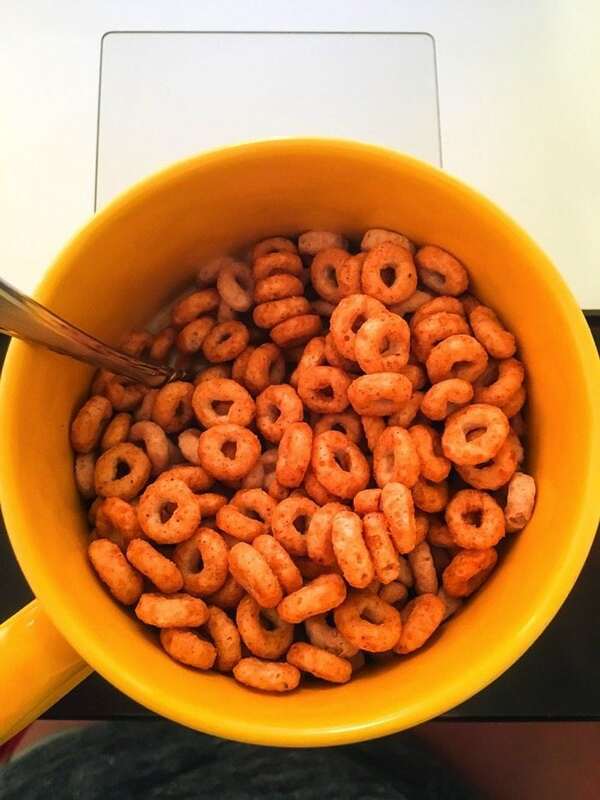 There are PUMPKIN SPICE CHEERIOS?! I mean, I guess I should have guessed, ha! And if that bowl is in there – ermahgah, count me in on the book. That thing looks DELICIOUS. Looks like a great day of tasty eats! Yes girl and they are delicious! I’m hooked on them right now. I’m sooo excited for the book. There’s so many great recipes included and the shopping lists make meal planning a breeze. Your dinner looks so good! I’m a fan of meal prep too and it’s great to get a glimpse of what you eat on an average day. Plus – I’m always up for adding Sriracha to any meal. A day in the life of Brittany! I love it. Also loved hearing about the new e-book with some of my all time fave bloggers. You girls all rock, can’t wait to see the e-book. Thank you so much, Allie! We’re all so excited for this ebook. Can’t wait for it to come out later this month. 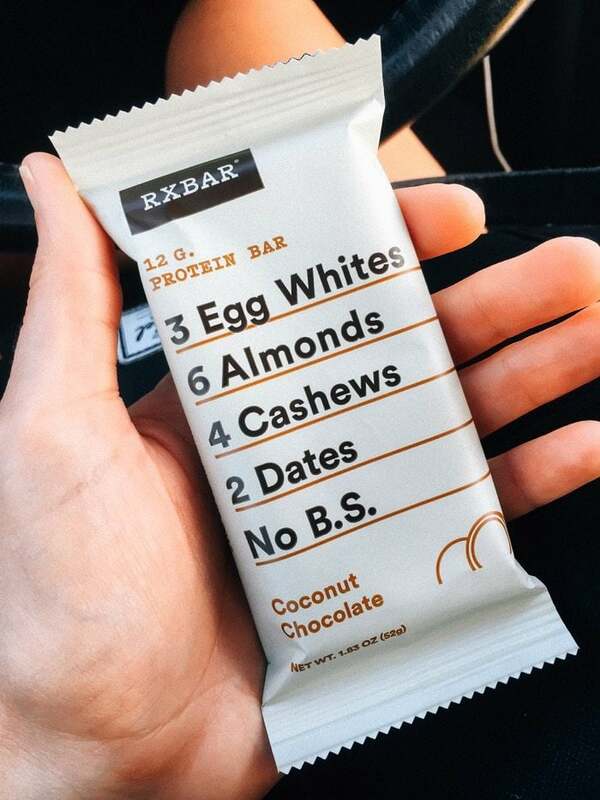 The coconut RXbar tasted awful to me…i couldn’t even stomach it! I liked the blue packaged one….maybe blueberry? Really? That’s a bummer. I need to find some other flavors. Trader Joe’s only had two different flavs. I’m loving those RX bars lately too, I’ll have to keep my eye out for the new maple flavor! Thanks for the tip about the RX bars- I’m always on the lookout for a protein bar with minimal ingredients. Of course! I’m all about minimal ingredients too. I love that more bars are headed in this direction now.